Successors to the Gravity Recovery and Climate Experiment, which monitored declining ice sheets and underground water, are a top priority for NASA earth science. NASA. NASA’s earth science division should create a new, medium-size $350 million mission line that is open to competition, according to a new report out today from the National Academies of Sciences, Engineering, and Medicine (NASEM) that lays out the agency’s earth science priorities in a so-called decadal survey, a consensus wish list for U.S. earth scientists. In addition to the call for the new mission line, the report recommends that five larger flagship missions be launched in the coming decade. Over the past decade, thanks to an infusion of climate-focused spending from the administration of former President Barack Obama, NASA’s budget for satellite-based observation of Earth grew to $1.9 billion last year, the largest of NASA’s four science divisions. “We’re not at the bottom of some pit like we were before,” says Bill Gail, chief technology officer at the Global Weather Corporation in Boulder, Colorado, and co-chair of the committee that wrote the report, titled Thriving on Our Changing Planet. But assuming the earth science budget now remains flat—far from a sure bet with the administration of President Donald Trump, which has been leery of climate research—NASA will have tough choices to make on future missions. “The simple fact is there’s not enough money to do what we want to do,” says Waleed Abdalati, director of the Cooperative Institute for Research in Environmental Sciences at University of Colorado in Boulder, and co-chair of the committee. Abdalati hopes that the new competitive mission line, along with a slim list of five flagship missions, will keep the earth science division within reasonable budgetary bounds. In 2007, when NASEM released its first earth science decadal survey, it prioritized 15 explicitly defined missions, many already tied to NASA centers. The new report recommends different types of observations without naming particular missions—although the correspondence to specific mission plans is clear in some cases. The recommendations take into account existing and planned satellites, such as a new line of Sentinel satellites from the European Space Agency. The survey aims to provide continuity on some valued measurements, and plot where the United States can fill potential gaps. The first priority observation recommended for flight, with a cost cap of $650 million, would target changes on Earth’s surface, likely with imagery across a wide range of wavelengths. The technique, called hyperspectral imagery, would advance on pioneering observations from Hyperion, a satellite instrument that was decommissioned last year. 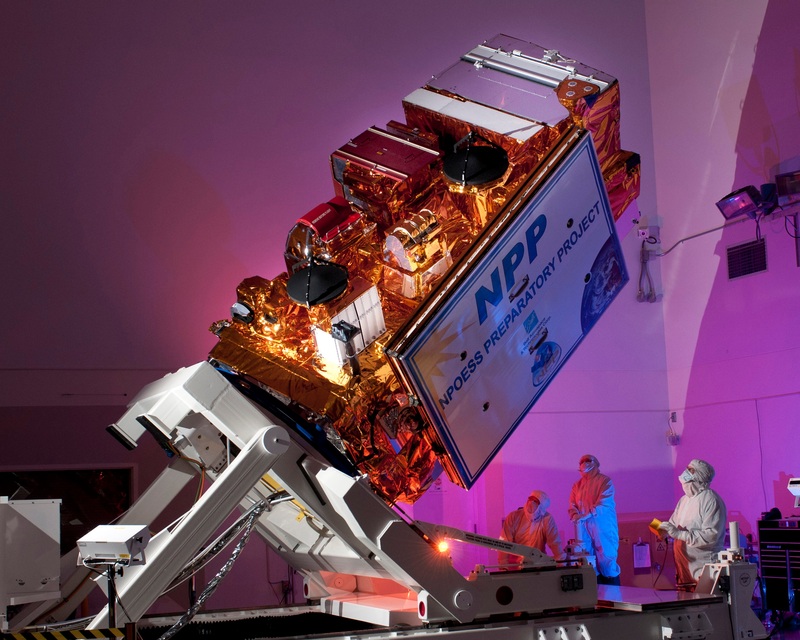 The recommendation is likely a shot in the arm for the Hyperspectral Infrared Imager (HyspIRI), a mission from NASA’s Jet Propulsion Lab in Pasadena, California, that was an uncompleted mission recommended by the last decadal. The other two largest investments, each cost capped at $800 million, would target clouds and atmospheric particles called aerosols. Aerosols and clouds are the two biggest drivers of uncertainty when it comes to the speed of human-driven global warming. 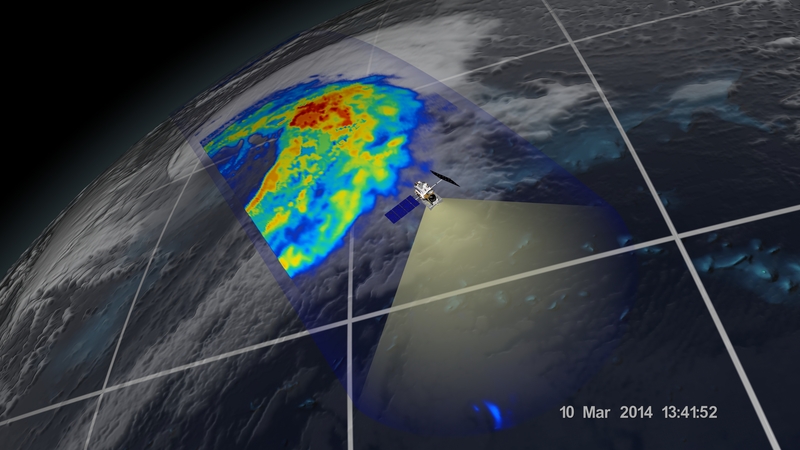 The missions could end up being successors to the CloudSat and the Cloud-Aerosol Lidar and Infrared Pathfinder Satellite Observation (CALIPSO) satellites. Like the existing pair, the panel envisions the missions launched in close succession to take advantage of overlapped observations. The recommendation for two separate missions could complicate the future of an expensive proposed mission, called Aerosol/Clouds/Ecosystems, out of NASA’s Goddard Space Flight Center in Greenbelt, Maryland, that would have combined these instruments on the same satellite. The final two priority observations are a $300 million successor to the recently ended Gravity Recovery and Climate Experiment (GRACE) and its successor satellite, expected to be launched early this year, and a $500 million satellite that would target tiny movements in the surface of Earth using radar techniques. Beyond these top priorities, the report names seven observations that should compete against one another in a new line of missions, called Earth System Explorer. NASA’s earth science has featured little competition in recent years, unlike the agency’s other science divisions. Within planetary science, for instance, NASA has two competitive lines, called Discovery and New Frontiers. With each mission capped at $350 million, the panel envisions explorer projects taking less than 4 years to develop, with the agency selecting three missions from among the seven candidates for flight this next decade. The potential observations for the explorer line are: atmospheric winds; greenhouse gases, providing potential continuity with the Orbiting Carbon Observatories; ice elevation, which would continue measurements of the ice sheets from IceSat-2, launching late this year; ocean surface winds; ozone and trace gases; snow depth and amount; and land ecosystems. The report is not prescriptive in how these measurements should be made, Abdalati adds. These observations could come from single satellites or constellations of smaller satellites—whatever combines the best mix of science and cost. The panel hopes that competition, and withholding specific mission recommendations, could help cure some of the cost inflation that came after the last survey, when missions were assigned to NASA centers and quickly saw their costs double in development. It was one of the mistakes of the last decadal, says Berrien Moore, the vice president of weather and climate programs at the University of Oklahoma in Norman and co-lead of the 2007 decadal. “The assignment of missions didn’t have the rigor that a competitive environment enforces,” he says. Earth science in space involves a constant tension between exploring new scientific terrain and continuing existing observations, which sometimes need to last for decades to provide useful information about climate change. To help address this problem, the panel recommends another new competitive line, called Venture-Continuity, which would allow scientists to propose ways of continuing observations at lower cost. The panel foresees selecting two such missions next decade, each capped at $150 million. Although the panel does not sound alarms like it did a decade ago, all of its recommendations are contingent on budgets rising with inflation. In its budget proposal last year, the Trump administration sought to boost planetary science and cut earth science. 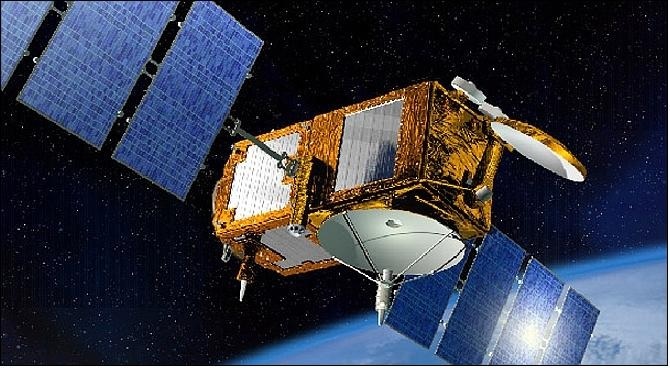 In particular, it plotted to kill four missions: the Plankton, Aerosol, Cloud, ocean Ecosystem (PACE) satellite; the Orbiting Carbon Observatory-3 and the Climate Absolute Radiance and Refractivity Observatory Pathfinder, both set to be mounted on the space station; and an Earth-facing camera on the Deep Space Climate Observatory. It remains to be seen whether those cuts can make it through Congress. Moore hopes Senate opposition makes the cuts unlikely, and thinks that both planetary and earth science will thrive. “I wouldn’t be surprised to see both boats rise,” he says. Of course, the report’s influence depends on NASA’s response. The Obama administration pushed for a climate-focused architecture that did not hew precisely to the 2007 decadal, and the George W. Bush administration’s last NASA administrator, Mike Griffin, was hostile to their findings, Moore says. Trump’s nominee, Representative Jim Bridenstine (R–OK), has publically pledged to follow the decadal, however. He will likely face questioning on the decadal from the Senate—assuming he is renominated for the post and confirmed. Using measurements from NASA’s Aura satellite, scientists studied chlorine within the Antarctic ozone hole over the last several years, watching as the amount slowly decreased. 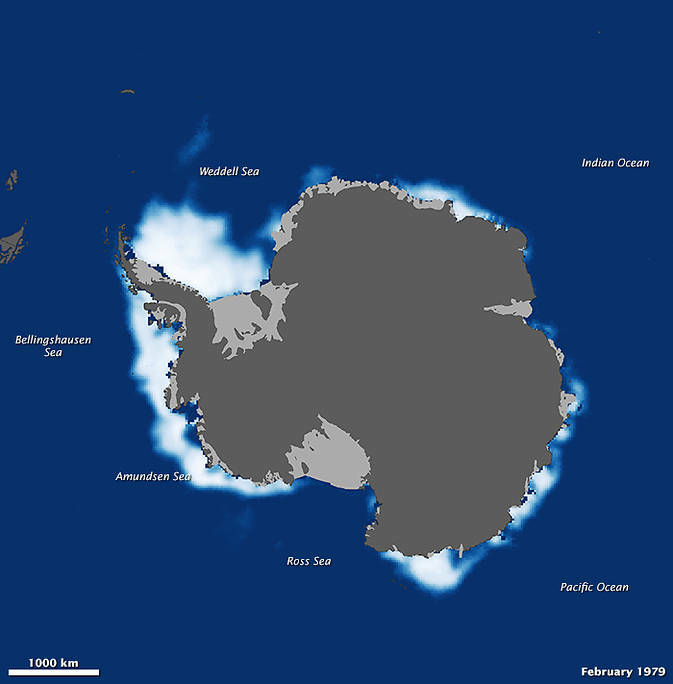 Measurements show that the decline in chlorine, resulting from an international ban on chlorine-containing manmade chemicals called chlorofluorocarbons (CFCs), has resulted in about 20 percent less ozone depletion during the Antarctic winter than there was in 2005 — the first year that measurements of chlorine and ozone during the Antarctic winter were made by NASA’s Aura satellite. “We see very clearly that chlorine from CFCs is going down in the ozone hole, and that less ozone depletion is occurring because of it,” said lead author Susan Strahan, an atmospheric scientist from NASA’s Goddard Space Flight Center in Greenbelt, Maryland. CFCs are long-lived chemical compounds that eventually rise into the stratosphere, where they are broken apart by the Sun’s ultraviolet radiation, releasing chlorine atoms that go on to destroy ozone molecules. Stratospheric ozone protects life on the planet by absorbing potentially harmful ultraviolet radiation that can cause skin cancer and cataracts, suppress immune systems and damage plant life. Two years after the discovery of the Antarctic ozone hole in 1985, nations of the world signed the Montreal Protocol on Substances that Deplete the Ozone Layer, which regulated ozone-depleting compounds. Later amendments to the Montreal Protocol completely phased out production of CFCs. Past studies have used statistical analyses of changes in the ozone hole’s size to argue that ozone depletion is decreasing. This study is the first to use measurements of the chemical composition inside the ozone hole to confirm that not only is ozone depletion decreasing, but that the decrease is caused by the decline in CFCs. The Antarctic ozone hole forms during September in the Southern Hemisphere’s winter as the returning sun’s rays catalyze ozone destruction cycles involving chlorine and bromine that come primarily from CFCs. To determine how ozone and other chemicals have changed year to year, scientists used data from the Microwave Limb Sounder (MLS) aboard the Aura satellite, which has been making measurements continuously around the globe since mid-2004. While many satellite instruments require sunlight to measure atmospheric trace gases, MLS measures microwave emissions and, as a result, can measure trace gases over Antarctica during the key time of year: the dark southern winter, when the stratospheric weather is quiet and temperatures are low and stable. They found that ozone loss is decreasing, but they needed to know whether a decrease in CFCs was responsible. When ozone destruction is ongoing, chlorine is found in many molecular forms, most of which are not measured. But after chlorine has destroyed nearly all the available ozone, it reacts instead with methane to form hydrochloric acid, a gas measured by MLS. “By around mid-October, all the chlorine compounds are conveniently converted into one gas, so by measuring hydrochloric acid we have a good measurement of the total chlorine,” Strahan said. Nitrous oxide is a long-lived gas that behaves just like CFCs in much of the stratosphere. The CFCs are declining at the surface but nitrous oxide is not. If CFCs in the stratosphere are decreasing, then over time, less chlorine should be measured for a given value of nitrous oxide. By comparing MLS measurements of hydrochloric acid and nitrous oxide each year, they determined that the total chlorine levels were declining on average by about 0.8 percent annually. Earth is a complex, dynamic system we do not yet fully understand. The Earth system, like the human body, comprises diverse components that interact in complex ways. We need to understand the Earth’s atmosphere, lithosphere, hydrosphere, cryosphere, and biosphere as a single connected system. Our planet is changing on all spatial and temporal scales. The purpose of NASA’s Earth science program is to develop a scientific understanding of Earth’s system and its response to natural or human-induced changes, and to improve prediction of climate, weather, and natural hazards. 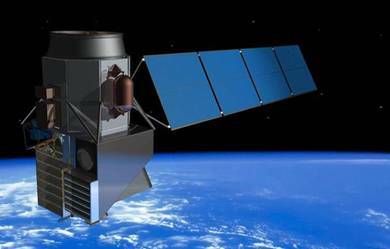 A major component of NASA’s Earth Science Division is a coordinated series of satellite and airborne missions for long-term global observations of the land surface, biosphere, solid Earth, atmosphere, and oceans. This coordinated approach enables an improved understanding of the Earth as an integrated system. NASA is completing the development and launch of a set of Foundational missions, new Decadal Survey missions, and Climate Continuity missions. Satellites orbiting Earth hundreds of miles above the planet’s surface are helping put information into the hands of people around the world who make critical decisions about protecting wildlife, responding to drought and identifying hazards to public health. All of this and more is possible due to the application of satellite data and images to improve the ways in which organizations and governments address challenges that society faces. 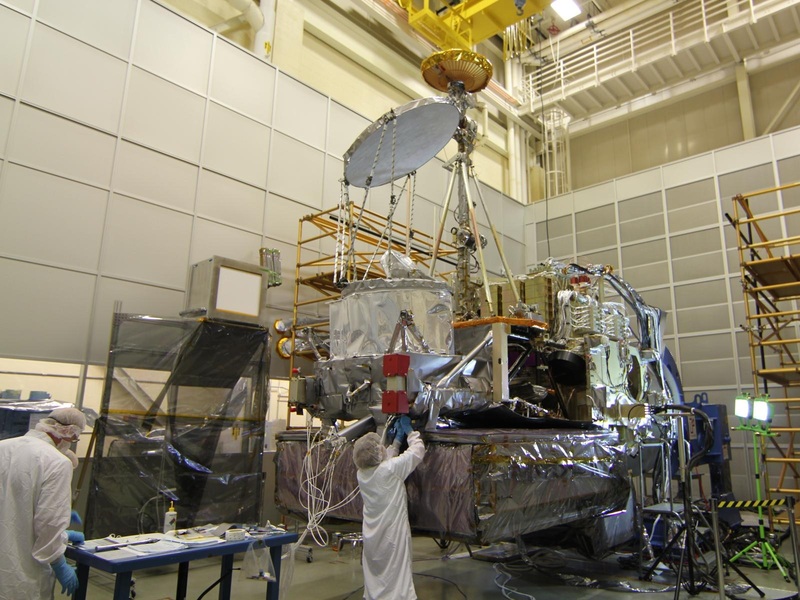 Putting satellite data to work in this way is the goal of the Applied Sciences Program in the Earth Science Division of NASA’s Science Mission Directorate. Many of the ways that NASA Earth science serves society are described in the program’s just-released 2014 Annual Report. The report describes how the National Marine Fisheries Service uses environmental data from several satellites to study whale habitats. The service developed with Applied Sciences a means to predict the presence of whales in near-real time. Knowing where whales will be along their migratory routes is critical information for container ships and fishing vessels, which can take measures to avoid interaction with the whales. In Bangladesh, flood forecasters used Jason-2 satellite-derived river height data to extend their three-five day forecasts to eight days, giving the public more time to get out of harm’s way. 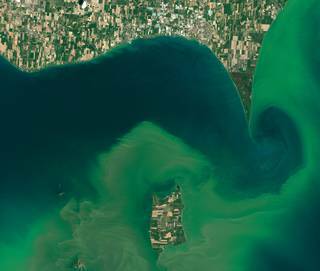 And officials in Ohio used satellite chlorophyll observations to help assess public health risks from, and target responses to, freshwater algal blooms. Landsat imagery assisted the California Department of Water Resources to map drought effects on agricultural production in the Central Valley. The state used information on the extent of fallowed land to support decisions on allocation of drought emergency funds to counties for social services for farmworkers and their families. The new annual report describes many other ways that Earth science serves society. The online report also includes videos as well as information on applications and satellite mission planning, program performance, support of natural disaster responses, and much more. NASA uses the vantage point of space to increase our understanding of our home planet, improve lives, and safeguard our future. NASA develops new ways to observe and study Earth’s interconnected natural systems with long-term data records. The agency freely shares this unique knowledge and works with institutions around the world to gain new insights into how our planet is changing. NASA’s work in Earth science is making a difference in people’s lives around the world every day. From farms to our national parks, from today’s response to natural disasters to tomorrow’s air quality, NASA is working for you 24/7. To find out more, click here. Droughts in the U.S. Southwest and Central Plains during the last half of this century could be drier and longer than drought conditions seen in those regions in the last 1,000 years, according to a new NASA study. The study, published Thursday in the journal Science Advances, is based on projections from several climate models, including one sponsored by NASA. The research found continued increases in human-produced greenhouse gas emissions drives up the risk of severe droughts in these regions. According to Cook, the current likelihood of a megadrought, a drought lasting more than three decades, is 12 percent. If greenhouse gas emissions stop increasing in the mid-21st century, Cook and his colleagues project the likelihood of megadrought to reach more than 60 percent. However, if greenhouse gas emissions continue to increase along current trajectories throughout the 21st century, there is an 80 percent likelihood of a decades-long megadrought in the Southwest and Central Plains between the years 2050 and 2099. The scientists analyzed a drought severity index and two soil moisture data sets from 17 climate models that were run for both emissions scenarios. The high emissions scenario projects the equivalent of an atmospheric carbon dioxide concentration of 1,370 parts per million (ppm) by 2100, while the moderate emissions scenario projects the equivalent of 650 ppm by 2100. Currently, the atmosphere contains 400 ppm of CO2. In the Southwest, climate change would likely cause reduced rainfall and increased temperatures that will evaporate more water from the soil. In the Central Plains, drying would largely be caused by the same temperature-driven increase in evaporation. The Fifth Assessment Report, issued by the United Nations Intergovernmental Panel on Climate Change (IPCC) in 2013, synthesized the available scientific studies and reported that increases in evaporation over arid lands are likely throughout the 21st century. But the IPCC report had low confidence in projected changes to soil moisture, one of the main indicators of drought. Until this study, much of the previous research included analysis of only one drought indicator and results from fewer climate models, Cook said, making this a more robust drought projection than any previously published. This study also is the first to compare future drought projections directly to drought records from the last 1,000 years. Modern measurements of drought indicators go back about 150 years. Cook and his colleagues used a well-established tree-ring database to study older droughts. Centuries-old trees allow a look back into the distant past. Tree species like oak and bristle cone pines grow more in wet years, leaving wider rings, and vice versa for drought years. By comparing the modern drought measurements to tree rings in the 20th century for a baseline, the tree rings can be used to establish moisture conditions over the past 1,000 years. The scientists were interested in megadroughts that took place between 1100 and 1300 in North America. These medieval-period droughts, on a year-to-year basis, were no worse than droughts seen in the recent past. But they lasted, in some cases, 30 to 50 years. When these past megadroughts are compared side-by-side with computer model projections of the 21st century, both the moderate and business-as-usual emissions scenarios are drier, and the risk of droughts lasting 30 years or longer increases significantly. Connecting the past, present and future in this way shows that 21st century droughts in the region are likely to be even worse than those seen in medieval times, according to Anchukaitis. “Those droughts had profound ramifications for societies living in North America at the time. These findings require us to think about how we would adapt if even more severe droughts lasting over a decade were to occur in our future,” Anchukaitis said. Sea ice increases in Antarctica do not make up for the accelerated Arctic sea ice loss of the last decades, a new NASA study finds. 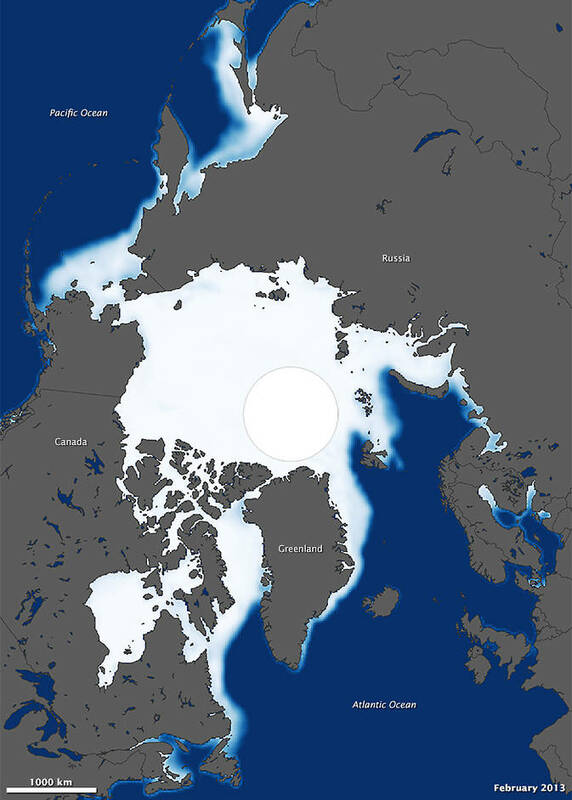 As a whole, the planet has been shedding sea ice at an average annual rate of 13,500 square miles (35,000 square kilometers) since 1979, the equivalent of losing an area of sea ice larger than the state of Maryland every year. Arctic sea ice coverage has been on the decline since scientists started monitoring its extent with satellites in 1979. The lowest extent on record was reached on Sept. 16, 2012, and it was approximately half the size of the average extent from 1979 to 2000. 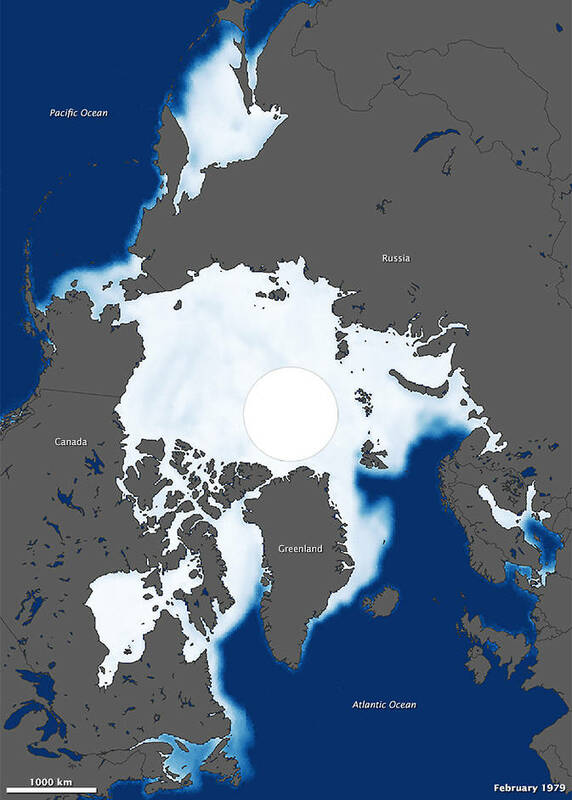 These maps show the minimum extent of Arctic sea ice in October of 1979 and 2013 as observed by satellite. October is typically the global maximum for sea ice, though it is just past the minimum in the Arctic. Sea ice surrounding Antarctica has been expanding since the beginning of the satellite record in 1979, reaching a new record extent of over 7.72 million square miles on Sept. 19, 2014. Still, this upward trend pales in comparison to the rapid loss of sea ice in the Arctic. 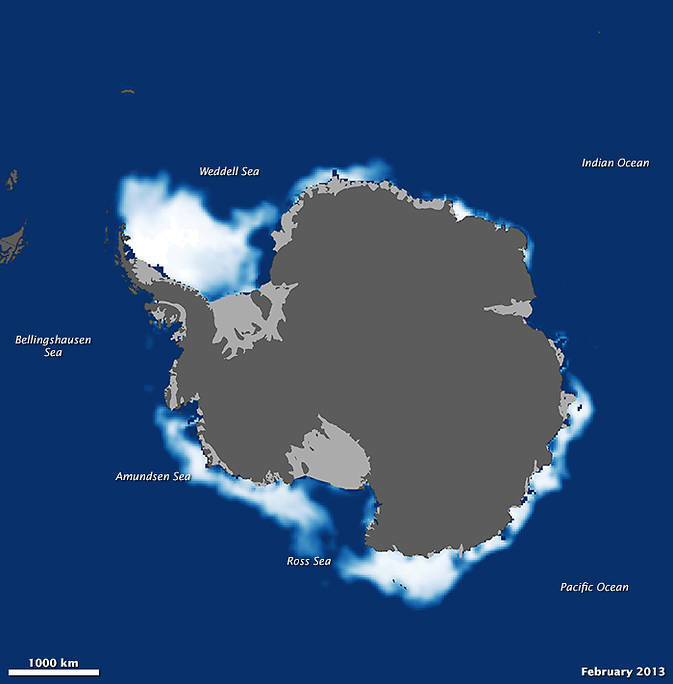 These maps show the maximum extent of Antarctic sea ice in 1979 and 2013 as observed by satellite. October is typically the global maximum for sea ice, largely because of the vast extent of Antarctic ice at that time. Parkinson used microwave data collected by NASA and Department of Defense satellites for her study, which was published last December in the Journal of Climate. She added Arctic and Antarctic sea ice extents month by month from November 1978 to December 2013 to determine the global ice extent for each month. Her analysis shows that over the 35-year period, the trend in ice extents was downward in all months of the year, even those corresponding to the Arctic and Antarctic sea ice maximum extents. 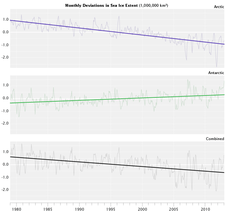 Comparing Arctic sea ice loss to Antarctic sea ice gain shows that the planet has-been shedding sea ice at an average annual rate of 13,500 square miles since 1979, the equivalent of losing an area of sea ice larger than the state of Maryland every year. Furthermore, the global ice decrease has accelerated: in the first half of the record (1979-96), the sea ice loss was about 8,300 square miles (21,500 square kilometers) per year. This rate more than doubled for the second half of the period (1996 to 2013), when there was an average loss of 19,500 square miles (50,500 square kilometers) per year – an average yearly loss larger than the states of Vermont and New Hampshire combined. Sea ice has diminished in almost all regions of the Arctic, whereas the sea ice increases in the Antarctic are less widespread geographically. 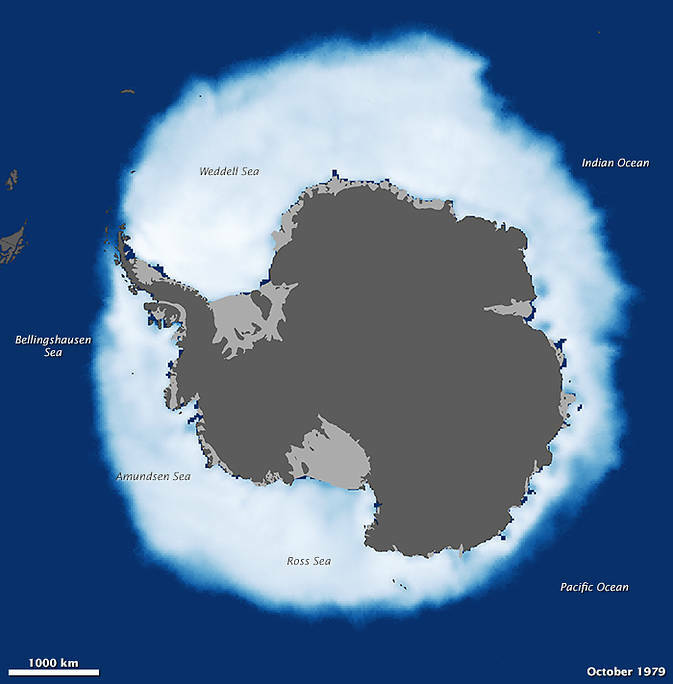 Although the sea ice cover expanded in most of the Southern Ocean between 1979 and 2013, it decreased substantially in the Bellingshausen and Amundsen seas. These two seas are close to the Antarctic Peninsula, a region that has warmed significantly over the last decades. In her study, Parkinson also shows that the annual cycle of global ice extents is more similar to the annual cycle of the Antarctic ice than the Arctic ice. The global minimum ice extent occurs in February of each year, as does the Antarctic minimum extent, and the global maximum sea ice extent occurs in either October or November, one or two months after the Antarctic maximum. This contrasts with the Arctic minimum occurring in September and the Arctic maximum occurring in March. Averaged over the 35 years of the satellite record, the planet’s monthly ice extents range from a minimum of 7.03 million square miles (18.2 million square kilometers) in February to a maximum of 10.27 million square miles (26.6 million square kilometers) in November. Parkinson doesn’t find it likely that the Antarctic sea ice expansion will accelerate and overturn the global sea ice negative trend in the future. 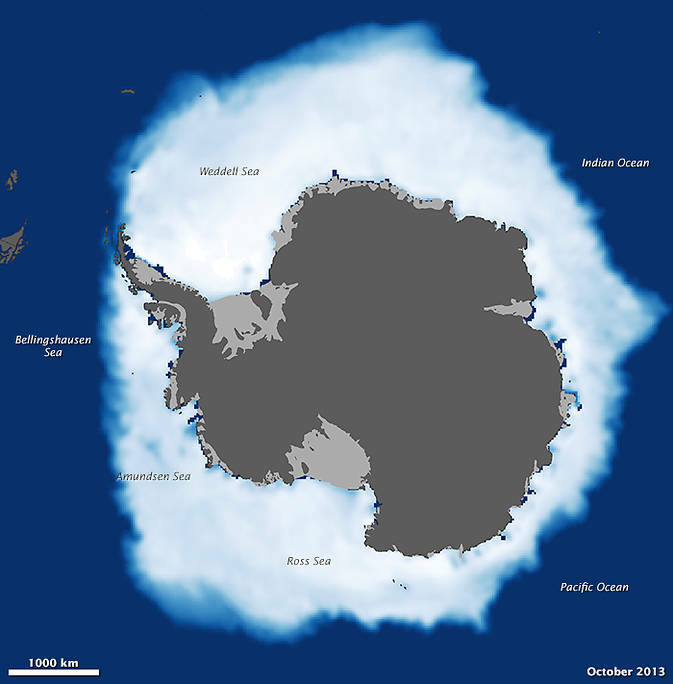 “I think that the expectation is that, if anything, in the long-term the Antarctic sea ice growth is more likely to slow down or even reverse,” she said. Parkinson calculated and published the global results after witnessing the public’s confusion about whether Antarctic sea ice gain might be cancelling out Arctic sea ice loss. 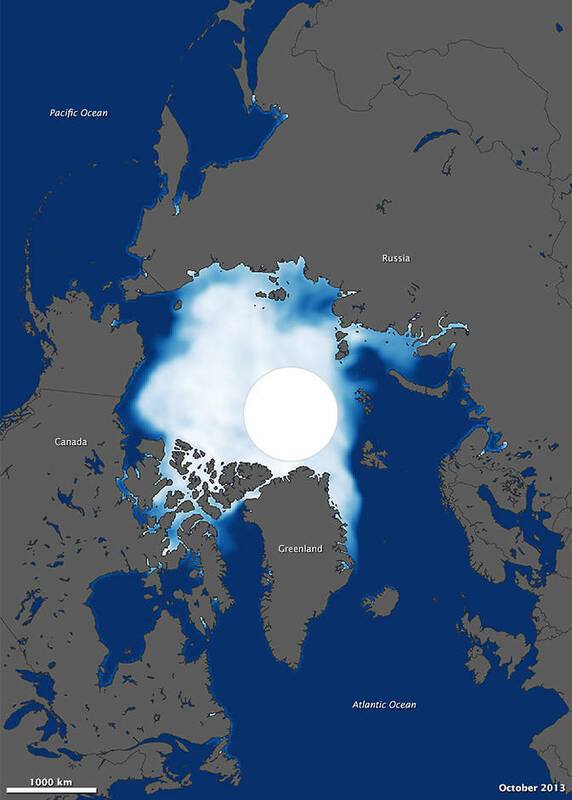 These maps show the maximum extent of Arctic sea ice in February 1979 and 2013 as observed by satellite. February is the month of the global minimum, though it is just before the annual maximum in the Arctic. 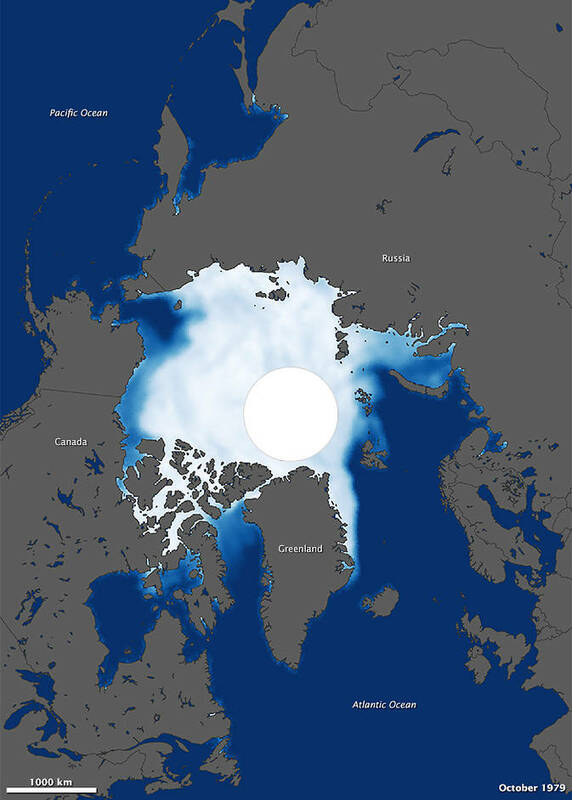 These maps show the minimum extent of Arctic sea ice in February 1979 and 2013 as observed by satellite. This video shows aerosol emission and transport from September 1, 2006 to April 10, 2007. Also included are locations, indicated by red and yellow dots, of wildfires and human-initiated burning as detected by the MODIS instrument on NASA’s Terra and Aqua satellites. Credit: NASA Goddard Space Flight Center. The residents of Beijing and Delhi are not the only ones feeling the effects of Asian air pollution — an unwanted byproduct of coal-fired economic development. The continent’s tainted air is known to cross the Pacific Ocean, adding to homegrown air-quality problems on the U.S. West Coast. But unfortunately, pollution doesn’t just pollute. Researchers at NASA’s Jet Propulsion Laboratory and the California Institute of Technology, both in Pasadena, California, are looking at how Asian pollution is changing weather and climate around the globe. Scientists call airborne particles of any sort — human-produced or natural — aerosols. The simplest effect of increasing aerosols is to increase clouds. To form clouds, airborne water vapor needs particles on which to condense. With more aerosols, there can be more or thicker clouds. In a warming world, that’s good. Sunlight bounces off cloud tops into space without ever reaching Earth’s surface, so we stay cooler under cloud cover. But that simplest effect doesn’t always happen. If there’s no water vapor in the air — the air is dry — aerosols can’t make clouds. Different types of aerosols have different effects, and the same aerosol can have different effects depending on how much is in the air and how high it is. Soot particles at certain altitudes can cause cloud droplets to evaporate, leaving nothing but haze. At other altitudes, soot can cause clouds to be deeper and taller, producing heavy thunderstorms or hailstorms. With so many possibilities, aerosols are one of the largest sources of uncertainty in predicting the extent of future climate change. During the last 30 years, clouds over the Pacific Ocean have grown deeper, and storms in the Northwest Pacific have become about 10 percent stronger. This is the same time frame as the economic boom in Asia. JPL researcher Jonathan Jiang and his postdoctoral fellow, Yuan Wang, designed a series of experiments to see if there was a connection between the two phenomena. They used a numerical model that included weather factors such as temperature, precipitation and barometric pressure over the Pacific Ocean as well as aerosol transport — the movement of aerosols around the Earth. They did two sets of simulations. The first used aerosol concentrations thought to have existed before the Industrial Revolution. The other used current aerosol emissions. The difference between the two sets showed the effects of increased pollution on weather and climate. An extra-tropical cyclone seen in the Pacific Ocean off the coast of Japan on March 10, 2014, by NASA’s GPM Microwave Imager. “We found that pollution from China affects cloud development in the North Pacific and strengthens extratropical cyclones,” said Wang. These large storms punctuate U.S. winters and springs about once a week, often producing heavy snow and intense cold. Wang explained that increased pollution makes more water condense onto aerosols in these storms. During condensation, energy is released in the form of heat. That heat adds to the roiling upward and downward airflows within a cloud so that it grows deeper and bigger. “Large, convective weather systems play a very important role in Earth’s atmospheric circulation,” Jiang said, bringing tropical moisture up to the temperate latitudes. The storms form about once a week between 25 and 50 degrees north latitude and cross the Pacific from the southwest to the northeast, picking up Asia’s pollutant outflow along the way. Wang thinks the cold winter that the U.S. East endured in 2013 probably had something to do with these stronger extratropical cyclones. The intense storms could have affected the upper-atmosphere wind pattern, called the polar jet stream. Jiang and Wang are now working on a new experiment to analyze how increased Asian emissions are affecting weather even farther afield than North America. Although their analysis is in a preliminary stage, it suggests that the aerosols are having a measurable effect on climatic conditions around the globe. How much these climate effects will increase in the coming decades is an open question. How much they can be reversed if emissions are reduced in Asia also remains unclear. The researchers pointed out that their work should raise even more red flags about aerosol-based geoengineering solutions — interventions in the Earth system intended to counteract global warming. Some groups have suggested that we could inject sulfate aerosols into the stratosphere to block incoming sunlight, but Jiang and Wang found that sulfates are the most effective type of aerosol for deepening extratropical cyclones. Ongoing injections would bring more stormy winter weather globally and would likely change the climate in other ways we cannot yet foresee.